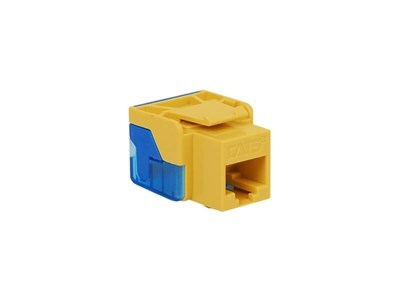 ICC's EZ Category 5e modular connector, RJ-45 keystone jack, is 8-position 8-conductor (8P8C) is engineered to provide superior performance and reliability, supporting up to Gigabit Ethernet applications. The advanced design provides optimum signal quality with up to 10dB headroom providing maximum bandwidth for today's application. Designed to be extremely easy to terminate, the EZ connector simplifies installation, improving overall installation time.